President Donald Trump has appointed Gina Haspel as the new head of the CIA. Haspel is set to become the first woman to lead the spy agency, where she is now second-in-command under Director Mike Pompeo. But Haspel, who has spent decades in US intelligence, has a controversial past. Gina Haspel, a longtime intelligence officer who ran a secret US prison in Thailand, is poised to become the first woman to lead the CIA. The move came Tuesday when President Donald Trump announced he would replace Secretary of State Rex Tillerson with CIA Director Mike Pompeo, paving the way for Haspel, who is second-in-command at the agency, to take over pending Senate confirmation for both her and Pompeo. Trump named Haspel deputy director of the CIA in February of last year. Haspel has served more than three decades in US intelligence, most of it spent undercover at overseas posts. But the 61-year-old is perhaps best known for her controversial role as the head of a secret CIA prison in Thailand, where clandestine American intelligence officers regularly tortured people suspected of having ties to Al Qaeda. An extensive report from the Senate Intelligence Committee detailed what happened at the prison and who was involved. The site in Thailand was part of a global effort by the Bush administration to combat terrorism after the 9/11 attacks. But the prison’s use of what the administration called “enhanced interrogation techniques” has been widely condemned by human-rights groups and critics who call it torture. President Barack Obama dismantled the interrogation program in 2009. Years earlier, however, Haspel served as one of the program’s most prominent leaders. In 2002, Haspel oversaw systemic torture against suspected Al Qaeda members. Amid an ongoing congressional investigation into the use of torture in so-called CIA black sites overseas, including the one led by Haspel in Thailand, CIA officials destroyed evidence of videotapes of the questionable interrogations. Jose Rodriguez, who was then head of the CIA’s National Clandestine Service, reportedly authorised the destruction of more than 90 tapes in 2005. But seven years later, in a memoir defending the use of torture, Rodriguez wrote that Haspel had drafted a cable ordering the tapes’ destruction. 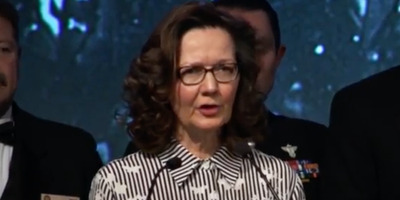 Haspel was serving as Rodriguez’s chief of staff at the time. The tapes documented torture techniques used by CIA officers against detainees, including one who was waterboarded dozens of times and subjected to intense physical and emotional abuse. That detainee, Abu Zubaydah, was later determined to be unaffiliated with Al Qaeda, though he was transferred to Guantanamo Bay in 2003, where he remains detained today. One woman, Meroe Park, did serve as acting CIA director for three days before Pompeo took over last year, but Haspel would be the first female director if the Senate confirms her appointment.